We agree, it certainly does stick out, and it was quite by accident. We'll get that fixed so it matches the rest of the trophies with the white background. Whatever you'd like. It's comparable to a Random Event, as there is no way for you to control receiving the Neopoints. 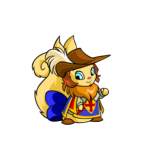 You can keep it on your side account to feed your Neopets there or send it to your main account. Haha, yes, a very long time ago we had a couple of mystery plots that led to the temporary virtual demise of many TNT staff members. Namely, these were Sacrificers and the Ski Lodge Murder Mystery. I suggest you proceed with caution. I have a question for Mr. Lawyerbot. Suppose I am a hypothetical aspiring author, and I so enjoy the creative environment of your site that I write a story of epic proportions with my beloved Neopets as characters. Now, of course, I want to share this story with my friends because I want (some or all of the following) a. their feedback b. them to enjoy it c. to brag. I'm actually very humble, so c. is out of the question. However, despite being as humble as I am, my friends manage to convince me that I should get it published! Perhaps in The Neopian Times first, but the genius of it will surely be appreciated by a wider audience (or so these hypothetical friends tell me). Unlike Mr. Lawyerbot, I humbly admit that I know nothing of legalities. Would there be any legal complications to publishing it that arise from uploading it to your site / submitting it to the NT first? Draiks (and Ixi) both hail from the beautiful land of Meridell. The site event trophies are ordered chronologically, not by event. So, technically, they are organised... just not the way you'd like. ;) We don't have any intention at this time of allowing for them to be rearranged. Egads, no. That would cause an influx of questions that are sent just for the sake of asking a question, and going through so many thousands of more questions each week would further weaken our already failing grip on the last remnants of our sanity. Alas, the businesses in the catacombs just weren't making it down there. Location is everything, you know! We'll be updating the Neopia Central map soon to reflect this change. Afterwards, there will no longer be a map link to the catacombs. 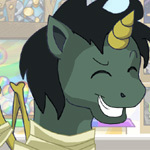 The direct link will still work, however, so you can wow Neopian newcomers with your knowledge of secret places. Jazan: WHAT?!? Leave me out of this. Don't you dare-- argh! I really, sincerely, hate you all. "As your business partner, I highly advise against starting anything in this building, especially a hospital! For Fyora's sake, this is a haunted asylum!" Nova Defender - A Guide Beyond the Stars! In the depths of space, far beyond the sight of Neopia, a battle of epic proportions is being played out between good and evil. Tired of simple, cheap, and junky grooming supplies?